Bengali director Tapan Sinha had a prolific career, steadily working outside the mainstream on a range of socially engaged projects. In 2009, he sadly passed away at the age of 84, leaving behind a body of work that remains some what undiscovered and unrecognised. ‘The Films of Tapan Sinha’ by Subhajit Ghosh provides an excellent, worthwhile overview of the films he directed and also examines his journey from working in the British film industry during the 1950s to his eventual position as an unpretentious auteur in the parallel cinema movement. ‘Ek Doctor Ki Maut’ was made in the final phase of his directorial career and like many of the most powerful Indian art films, it was funded by The National Film Development Corporation of India (NFDC). 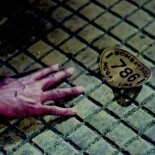 Based on a true story titled ‘Abhimanyu’ by writer Ramapada Choudhury and starring an ensemble cast made up of parallel cinema regulars including Shabana Azmi, Pankaj Kapoor and Irfan Khan (in one of his earliest roles), Tapan Sinha’s realist melodrama uses the medical, health and science institutions of India to offer an agonizing study of one doctor’s struggle to seek recognition for the vaccine he has developed to fight leprosy. Using his academic position as a means of sustaining his interest in scientific and medical research Dr. Dipankar Roy (Pankaj Kapoor) spends his nights at home in what is a rudimentary make shift laboratory. Experimenting on mice, Dr. Roy succeeds in developing a vaccine for leprosy but in the process, the relationship with his wife (the consummate Shabana Azmi) becomes fraught with accusations to do with neglect and abandonment. Aided by the leftist ideals of an aspiring journalist (Irfan Khan) who helps to publicise Dr. Roy’s important discovery, the state (symbolised by the archaic medical and health organisations) persecutes, demonises and humiliates the doctor’s breakthrough as merely an extended lie. What Dr. Roy’s discovery reveals is the savage jealousy and ugly scepticism that plagues the middle classes who collectively stand in the way of his brilliance, preferring instead to vilify than endorse progressive ideals. Inevitably, Dr. Roy is severed from his research and once the state intervenes by virtually exiling him in to a remote village, it becomes an impossible task for him to complete the publication of his research notes. Having made sure of his public humiliation and professional denigration, Dr. Roy is devastated when he hears the discovery of the vaccine is credited to the work of two American doctors. It is a moment of bitter disillusionment at the failure of the state and Indian society to embrace change and celebrate individual achievement. 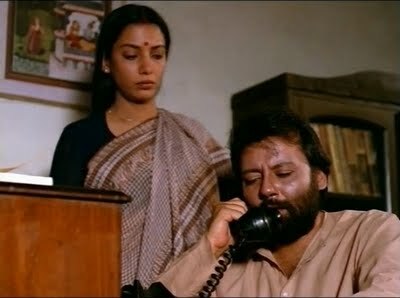 Both Pankaj Kapoor and Shabana Azmi effortlessly deliver a series of equally superlative performances, fiercely conveying an outrage at their wrongful condemnation. The character of the lonely, educated housewife (Shabana Azmi) and her willingness to put up with her husband’s intolerant research habits has origins in the 1960 film ‘Anuradha’ directed by Hrishikesh Mukherjee. However unlike Leela Naidu’s repressed housewife, Dr. Roy’s wife is later forced to take up a job as a teacher so they can maintain some semblance of normality in what becomes a disruptive relationship. Tapan Sinha was a key film maker in the parallel cinema movement and also a hugely significant figure in Bengali cinema, and ‘Ek Doctor Ki Maut’ is yet another creative high point in the parallel cinema movement. This entry was posted on October 20, 2014 by Omar Ahmed in Indian CInema and tagged NFDC, Pankaj Kapoor, Parallel Cinema, Shabana Azmi, Tapan Sinha.